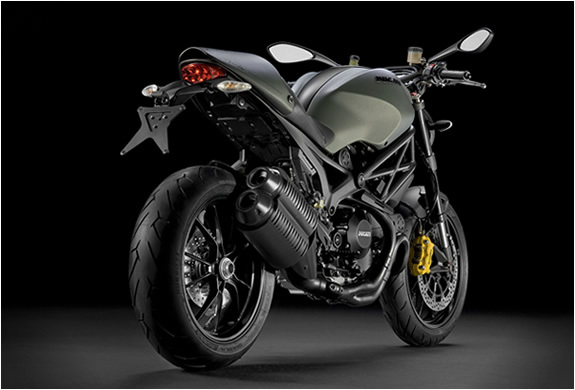 Clothing brand Diesel and Ducati started a partnership last year with Diesel sponsoring the Ducati Team in MotoGP, now they have taken their partnership a step further collaborating on the Ducati Monster Diesel. 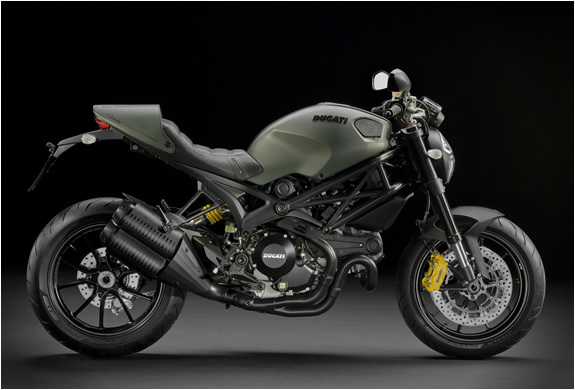 The customized model is an ‘urban military chic’ interpretation of Ducati’s iconic naked motorcycle and will be unveiled alongside the new collection at the Diesel stores of New York - Soho (15 March) Rome (22 March) and Tokyo-Shibuya (29 March). 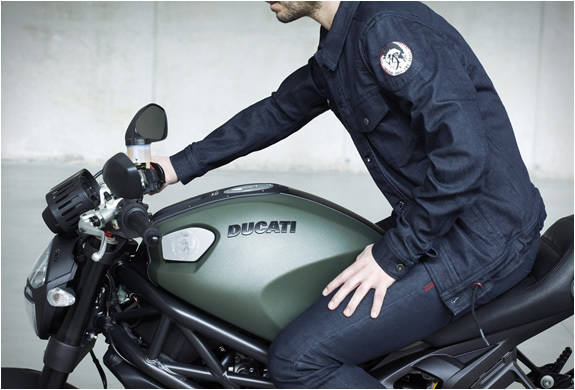 With Ducati’s flagship Monster 1100EVO providing the canvas for the new motorcycle creation, Diesel’s founder Renzo Rosso and the Ducati Design Centre guided stylists to a military inspired theme. 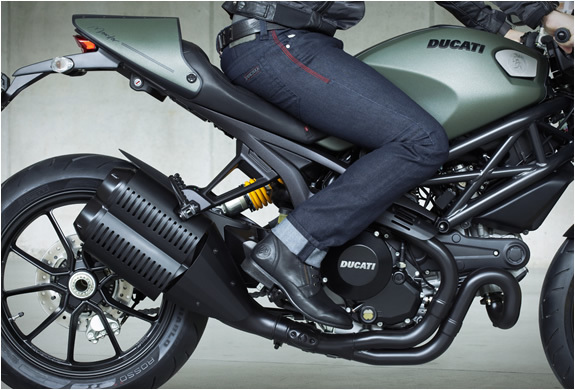 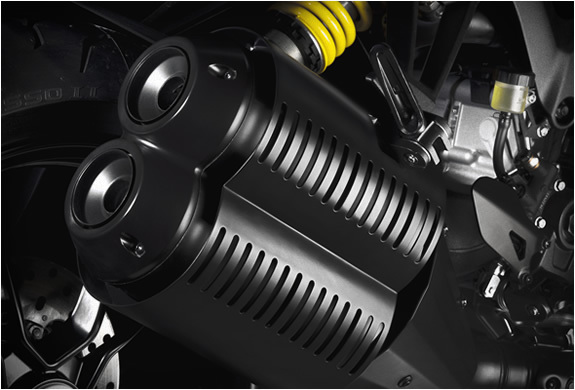 The Monster Diesel will be available at Ducati stores around the world from late July onwards.